1. Foxes have a very keen sense of hearing. In fact, they can hear the ticks from a watch from more than 100 feet away. 2. 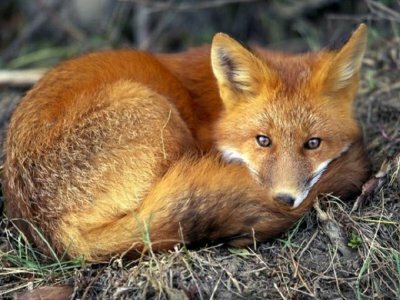 There are 37 known species of foxes in the world, including the Arctic Fox, the Fennec Fox, and the Red Fox, among others. 3. A baby fox is known as a kite. When they are first born, they are blind and deaf. They stay by their mother’s side in the den for about a month before going out to explore. 4. For short periods, foxes can run as fast as 23 miles per hour. 5. In addition to keen hearing, foxes have a great sense of smell. They can smell food that has even been buried underground. 6. Foxes prefer to live solitary lives. They rarely spend time in packs. 7. Among all of the species of fox, the Fennec fox is the smallest. It can weigh as little as 3.5 pounds. 8. Foxes are part of the same family as dogs, but they have many cat-like characteristics, including retractable claws. They can also climb trees and they like to play with their prey before eating it, much like a cat. 9. The Red Fox is the most common species of fox because it can be found on all of the world’s continents. 10. Foxes will often feed on household waste if they are living in an area where several homes are present. 11. The typical diet for a fox includes insects, birds, worms, rodents and other small animals. They often store their food so they can enjoy it later in the day. 12. Female foxes are called vixens. Male foxes are either called reynards or dogs. Baby foxes are referred to as kits, cubs, or pups. A group of foxes is called a skulk. 13. The average height for a fox is between 15 and 35 inches. The average weight is between 12 and 15 pounds. 14. Foxes live an average of 4 to 6 years in the wild. When they are in captivity, they can live twice that long. 15. The gestation period for a female fox is between 50 and 60 days, usually depending on the species. A litter typically includes between 4 and 5 pups. 16. A fox’s tail is always tipped with white and their ears are always tipped with black, making them relatively distinguishable from other animals. 17. In Japan, the fox is considered a sacred animal. 18. Arctic foxes are mainly found in cold climates. They can withstand temperatures as low as -50F because they have a thick coat, short ears, and furry paws. 19. The fox’s main predators include coyotes, bears, wolves and mountain lions. Baby coyotes are often preyed upon by eagles, too. 20. Foxes have whiskers on their faces and around their legs. These whiskers help them to find their way around. 22. Instead of chewing its food, the fox has teeth that shears and cuts it into smaller and more manageable chunks. 23. During mating season, a male fox will take care of a female fox by providing food for the entire family. This is one of the few times that foxes will spend time together. 24. The average size of a fox in Britain is just a little bigger than a cat. 25. Foxes have as many as 28 different noises and calls that they use to communicate with each other.